Global shipments of personal computing devices and tablets are expected to decline 3.5 per cent year-over-year in 2018, representing an even steeper decline from the 2.7 per cent in 2017. 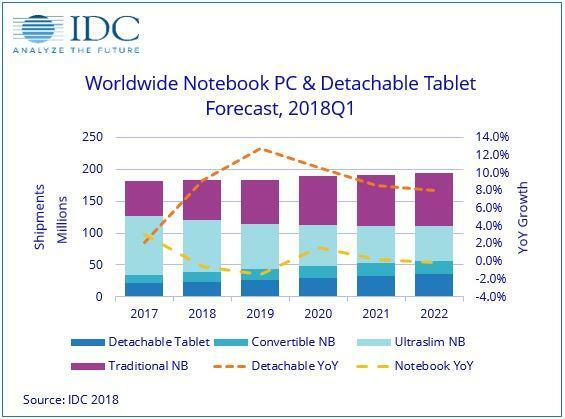 Looking ahead, IDC research expects a further drop of -1.6 per cent during the next five years, in a market comprising of traditional PCs - spanning desktop, notebook, and workstation - and tablets, including slate and detachable. However, convertible and ultra-slim notebooks, as well as detachable tablets continue to be bright spots in a “challenging market”, with all three product categories expected to grow year over year throughout the forecast. “Overall the challenges for traditional PCs and tablets remain the same as in past years,” IDC program vice president, Ryan Reith, said. “However, we continue to see pockets of opportunity and growth when you peel back the onion. “With notebook PCs it's clear that marketing and development resources are being poured into premium/gaming, convertibles, and thin and light devices. All OEMs, some of which are new to the space, seem to be laser focused on these areas. Delving deeper, Reith said slate tablets, which peaked as a market segment in 2014 and has been in decline since, is expected to contract over the five-year forecast at a rate of -6.2 per cent. “The overall decline has improved, but the category remains challenged by consumers spending more time on smartphones, as well as having life cycles that are more in line with traditional PCs,” Reith explained. 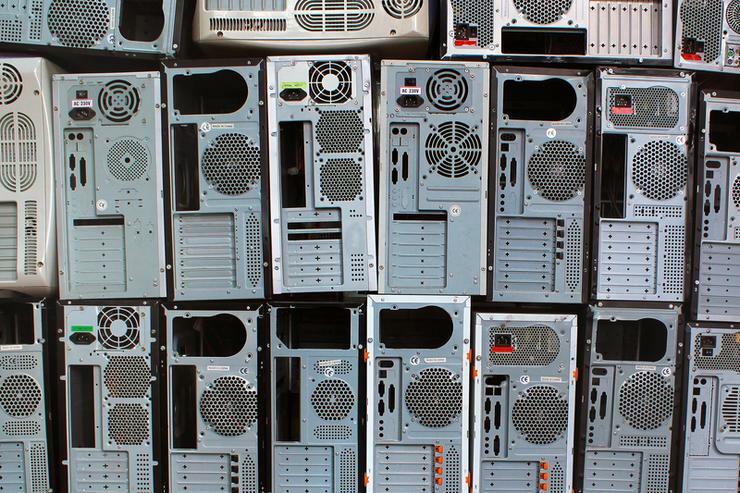 Meanwhile, desktop PCs are also expected to decline at a five-year growth rate of -2.6 per cent. “Commercial demand remains stronger than consumer but given the saturation of that market segment it isn't expected to grow at any point during the forecast,” Reith added. Meanwhile on the consumer side, Reith said gaming has “certainly provided” some hope for desktops, although many gamers are still doing manual upgrades or moving toward gaming notebooks. As outlined via IDC research, both continue to pose challenges on the segment. “Despite the continuous decline of desktops, it's clear that not all are created alike as the growing demand for gaming PCs is bringing with it plenty of changes to the design and form factor of desktops while opening up opportunities for brands,” IDC senior research analyst, Jitesh Ubrani, added. “Consumers are increasingly valuing small and ultrasmall form factor desktops along with smaller components like low-profile graphics cards.